This pendant will update your home with its eye-catching design. Featuring a bronze finish and white mottle shade(s), this fixture will accommodate a variety of dicor styles. With its easy installation and low upkeep requirements, this pendant will not disappoint. This pendant will update your home with its eye-catching design. Featuring a matte black finish and white mottle shade(s), this fixture will accommodate a variety of dicor styles. With its easy installation and low upkeep requirements, this pendant will not disappoint. The cornerstone of the concord Collection is quality, and this pendant is no exception. Combining a classic bronze finish and posh styling, you will find no better way to highlight the charm of your home. With the superb craftsmanship and affordable price this fixture is sure to tastefully indulge your extravagant side. The cornerstone of the Satin Collection is quality, and this incandescent pendant is no exception. Combining a classic bronze finish and posh styling, you will find no better way to highlight the charm of your home. With the superb craftsmanship and affordable price this fixture is sure to tastefully indulge your extravagant side. The cornerstone of the satin Collection is quality, and this pendant is no exception. Combining a classic bronze finish and posh styling, you will find no better way to highlight the charm of your home. With the superb craftsmanship and affordable price this fixture is sure to tastefully indulge your extravagant side. 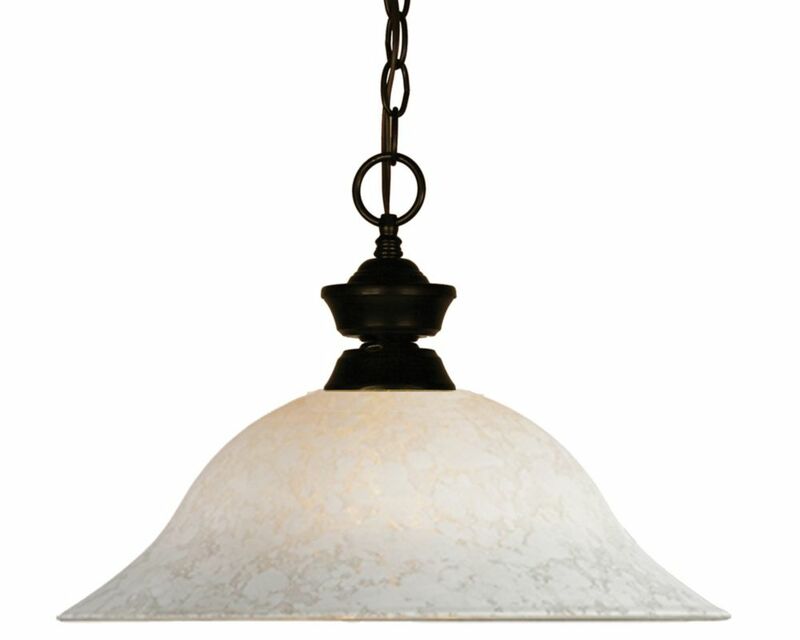 1-Light Bronze Pendant with White Mottle Glass - 16 inch This pendant will update your home with its eye-catching design. Featuring a bronze finish and white mottle shade(s), this fixture will accommodate a variety of dicor styles. With its easy installation and low upkeep requirements, this pendant will not disappoint.